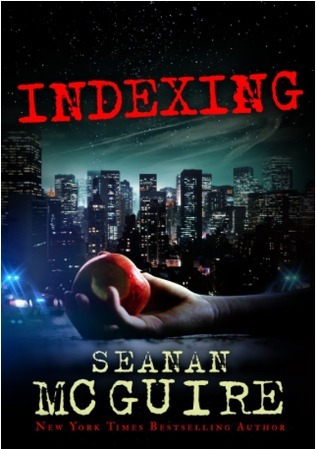 This week part 1 of Indexing, a Kindle Serial by Seanan McGuire, was released. The serial is $2.99 and is from the awesome creative force that is Seanan McGuire, so it was a no-brainer. I had to have it. Indexing deals with fairytales and their potential for destruction in the real world, and the team that helps stop them. It's urban fantasy with fairytales - YES. Worlds and worlds of yes. As I wait for the second part, this of course inevitably lead me to the question of what I think about serials as a whole. What is a serial? It's a story brought to you in little chunks. Some are weekly, some monthly, it depends. The note on Indexing, for example, says "Kindle Serials are stories published in episodes, with future episodes delivered at no additional cost. This serial currently contains one episode out of an estimated twelve total episodes, and new episodes will be delivered every two weeks." I wouldn't count myself a serial expert, but this isn't my first rodeo either. At first, I wasn't so sure about the idea, but read on after the break to see the story that changed my mind. I recently finished the very fun and action-packed Clean Sweep by Ilona Andrews. This was a free serial on their website. New installments came in between their other project commitments, so sometimes there would be 2 installments in a week, sometimes there would be more time between the new chapters. The story involved magic, sci fi, aliens, and the trademark Andrews humor. It was a treat for me, and I liked the characters and the story, so another win. The authors' plan is to edit the story, add an Epilogue, and sell it as a eBook this summer. I will be buying it because 1) Epilogue! and 2) I thoroughly enjoyed reading it for free. I'm more than happy to buy it to show my appreciation (and to hopefully get more Innkeeper stories). 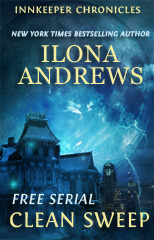 And, let's be honest, I am a big Ilona Andrews fan, so I would have paid upfront to read it too. 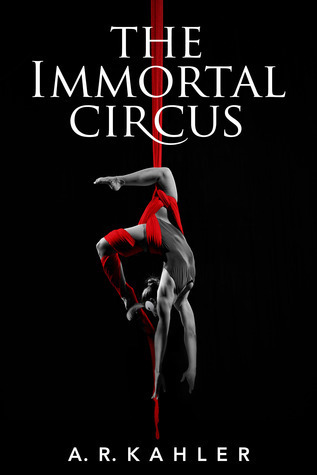 I also read The Immortal Circus by A.R. Kahler. This was originally a Kindle serial, but when I borrowed it from the Kindle Lending Library (thank you, Prime! ), it was complete. This story was interesting and I really got into it by the end. Unfortunately, it took several chapters to get into it. Had I been getting it in little chunks, I might not have finished it. That's the challenge, really. Keep my attention so that I want to read that next installment. That I am counting down the days until it shows up. Otherwise I have a ton of books waiting for me and it is easy for one to get pushed aside if I'm not craving it. I asked on Twitter what folks thought about serials and the results were mixed, like I expected. 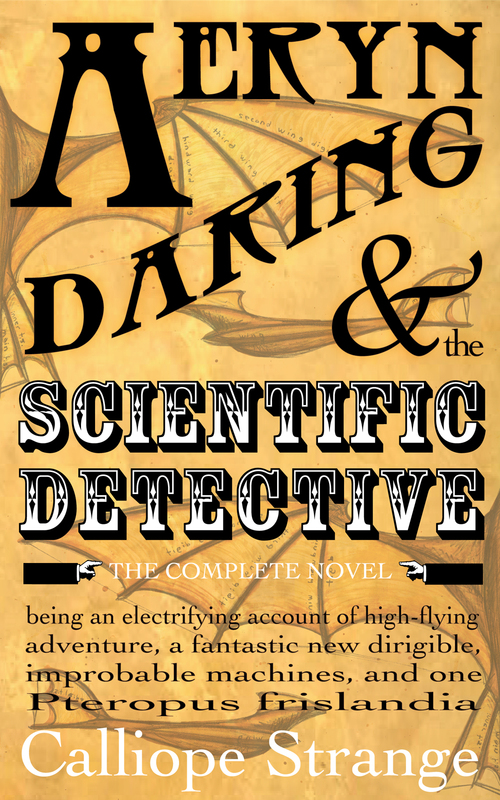 Laurie did tell me about JukePop Serials where I found this little beauty: Aeryn Daring & The Scientific Detective by Calliope Strange. More steampunk fun! You know I am going to be reading this one. It really comes down to the fact that like all books, some click and some don't. Serials need more patience, and there is nothing wrong with letting the chapters pile up until you have a good chunk to read. I'm willing to give them a shot at their place on top of the book pile. How do you feel about serials? Do you have any recommendations?